Barcelona stands out as an inescapable step of the circuit of the European Poker Tour, with an increasing attendance each year. 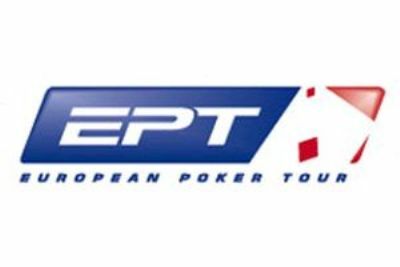 And this week, this first step of the EPT Season X beat its record of attendance, after the two first departure days, while organizers still planned late registrations until the beginning of the Day 2. During these two Days 1, the poker room of Casino Barcelona hosted 1,228 players, among whom 711 during the Day 1A and 409 during the Day 1B, or 146 additional registrations compared with 2012. Out of the 1,228 competitors, 697 are still in the running for the title and the chipleader of the Day 1A, Dragan Kostic remains the leader of the chipcount at the start of the Day 2, with 215,000 chips. Florian-Dimitrie Duta was the chipleader of the Day 1B but remains second in chipcount of the Day 1, with 187,000 chips. Among the survivors of the Day 1B, we find Marvin Rettenmaier, Erik Seidel, Liv Boeree, Jake Cody, Fatima Moreira de Melo, Hui Chen-Kuo, Luca Pagano, Maxim Lykov or the November Nine David Benefield. Concerning eliminated players, we will regret the elimination of the November Nine Sylvain Loosli, Daniel Negreanu, Ludovic Lacay Bertrand Grospellier, Pierre Neuville, Manuel Bevand or Steve O'Dwyer. As for stars who devote to poker, the French rapper and not less professional of poker Bruno « Kool Shen » Lopes and the professional football players Gerard Piqué and John Carew qualified also for the Day 2. The Brazilian double golden ball Ronaldo also has been at the Casino Barcelona and has taken part in the poker tournament called « Phenomenon Table » and at the NLH Turbo.